IHS Jane’s Defence Weekly reports that the Royal Malaysian Air Force (RMAF) is mulling lightweight multi-role fighter options to complement its fleet of twin-engine medium and heavyweight fighters, i.e. the F/A-18D and Su-30MKM, respectively. Earlier in 2017, the RMAF sought bids for an active requirement of 18 next-generation multi-role fighters to supplant its aging MiG-29s. Saab, BAE Systems and Dassault pitched the Gripen, Typhoon and Rafale, respectively, but fiscal constraints prompted Kuala Lumpur to shelve the program. Although the Korea Aerospace Industries (KAI) FA-50 Golden Eagle, which has been inducted in Thailand and Indonesia, could be a plausibly strong option, Malaysia might also look at its Eastern options. Kuala Lumpur maintains a diverse armament supplier pool, which is evident in its use of Russian jets along with F/A-18 and order of Chinese Littoral Mission Ships to join its French Gowind-based Littoral Combat Ships. The RMAF releasing a bid for lightweight fighters could draw Russia and China with the MiG-35 and J-10 as well as JF-17, respectively. 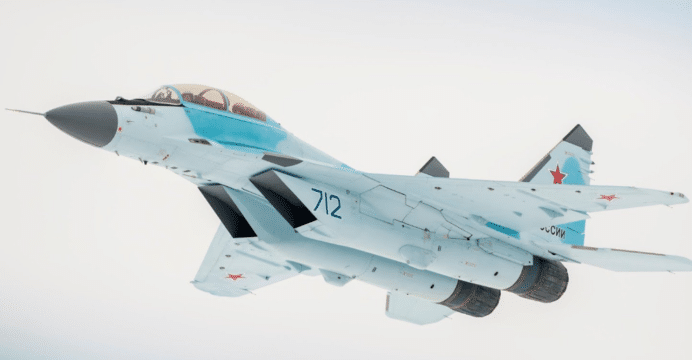 United Aircraft Corporation (UAC) is positioning the MiG-35 as an affordable high-tech solution, and Malaysia is among UAC’s prospective markets. Besides meeting the light fighter requirement, UAC could aim to have the RMAF supplant its MiG-29 with the MiG-35. Pakistan Aeronautical Complex (PAC) had been hopeful of securing a JF-17 sale in Malaysia, but in 2015, Malaysian officials rejected the notion that the RMAF was interested in the platform. However, it is worth noting that the JF-17 could be the lowest cost option for a lightweight fighter, one that could also leverage a diverse catalogue of Chinese guided air-to-surface munitions, including several stand-off range weapons such as the YJ-6 sub-munition dispenser glide-bomb and C-802A anti-ship missile (AShM). Moreover, the RMAF could recycle its experience and infrastructure for the RD-33 to support the RD-93 turbofan engine. Saab could also position the JAS-39C/D Gripen, which could fit with the RMAF’s lightweight fighter need while also provide a long-term bridge to replacing the MiG-29. Of the available Western options, the Gripen would possess the lowest acquisition and life-cycle costs. Saab can also leverage its RBS-15-series of AShM (the RBS-15Mk3 can double as a land-attack cruise missile) while also presenting the RMAF with many certified and tested air-to-air and air-to-surface munitions from industry leaders, such as MBDA and Raytheon, among others.